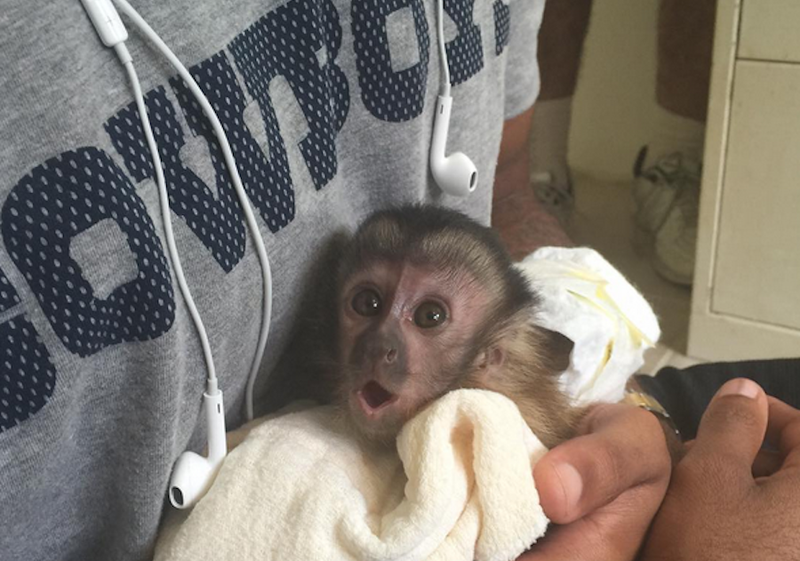 Last week, Dez Bryant posted a photo on Instagram of his “new best friend,” a monkey named Dallas Bryant. When PETA found out, it demanded that Bryant relinquish the illegal pet monkey, but there wasn’t proof that the Cowboys receiver actually possessed Dallas. DeSoto, Texas police investigated, and couldn’t find any evidence that the monkey was in the city. While the primate’s whereabouts remain unknown, Cowboys owner Jerry Jones has some monkey opinions. Really, though, where’s that monkey?